Is Multigenerational Living the answer to Senior Living? Lisa Cini is an established expert in the specific field of senior living design, having worked on broad projects enhancing how groups of people of all ages live best when living together. Her work with the U.S. military is just one example of enhancing “group living”. Now, Lisa’s work truly shines when you take those best-practice principles and apply them to senior living facilities. Things get even more interesting when Lisa decides to bring her research and experiments into her own home, renovating a house to meet the needs of a 4 generation family including her two teenagers, herself and husband, her parents and her grandmother who suffers from Alzheimer’s. At first, this sounds like a setup for a TV sitcom or tear jerker Hallmark movie. It is real life for Lisa and is the testing ground for her book Hive: The Simple Guide to Multigenerational Living How Our Family Makes it Work and her online business Best Living Tech.com. She describes Hive as a DIY guide for how to design the physical space in your home to work best for multigenerational living with the addition of her family’s personal experience of learning to respect personal boundaries within family dynamics in a single living space. The toilet seat? It is awesome. Yes, we talk a lot about a specific toilet seat as an example of how simple design and technology can impact a mother-daughter relationship, maintain a parent or grandparent’s dignity and, not to overstate things, but actually, keep a senior in their home rather than an assisted living center or nursing home. A toilet. Lisa has generously offered to donate 10% of any purchases by Experience 50 Podcast listeners to support the podcast. Use this link to visit BestLivingTech.com and Experience 50 will receive 10% at no additional cost to you. ALSO, if you sign up for Lisa’a email list for updates, you will receive a download of her book HIVE. This free download will be available for a limited time only. Lisa has the ability to take the complex and make it simple, as well as repeatable. By harnessing this ability, the award-winning company has expanded 149% over the past three years. Under Lisa’s leadership, Mosaic has dedicated itself to meeting clients’ needs, while upholding their mission, vision, and values. She has helped a diverse clientele & has met with success on far-reaching projects, and among them are the top global senior living operators, The United States Air Force, The United States Navy, the National Hockey League, Cooper’s Hawk Winery and The OhioHealth Hospital System. Combining her business savvy with her wide-ranging creativity has brought Lisa into the publishing world. Her newest book, Hive: The Simple Guide to Multigenerational Living How Our Family Makes it Work is Lisa’s personal account of how her family has designed a home in which 4-Generations live together and lead productive, happy and healthy lives, even as the eldest member of the family struggles with Alzheimer’s/Dementia. 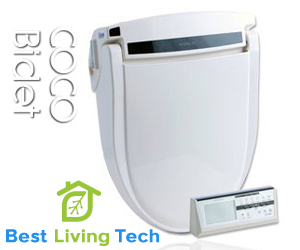 She just launched www.BestLivingTech.com in which she curates the best products to Embrace Living as we age. Think Sharper Image meets AARP! Lisa is regarded as the leading Alzheimer’s and long-term care design expert in the nation and has been recognized for her contributions in the field. Though appreciative of the recognition for her work, Lisa is most gratified by helping people who are struggling with Alzheimer’s, find ways to cope as individuals, as families, and as communities. Lisa Cini has an enduring passion to learn from the best and create change where she sees the need, and when she’s applied this passion to the field of interior design, she has helped redefine it. A resident of Columbus, Ohio, Lisa supports her community through her dedication to volunteer work. She believes that we are all here to add value to this world using our God-given talents and treasures.